Arianna is starting her first year of university at UBC in Vancouver this week. 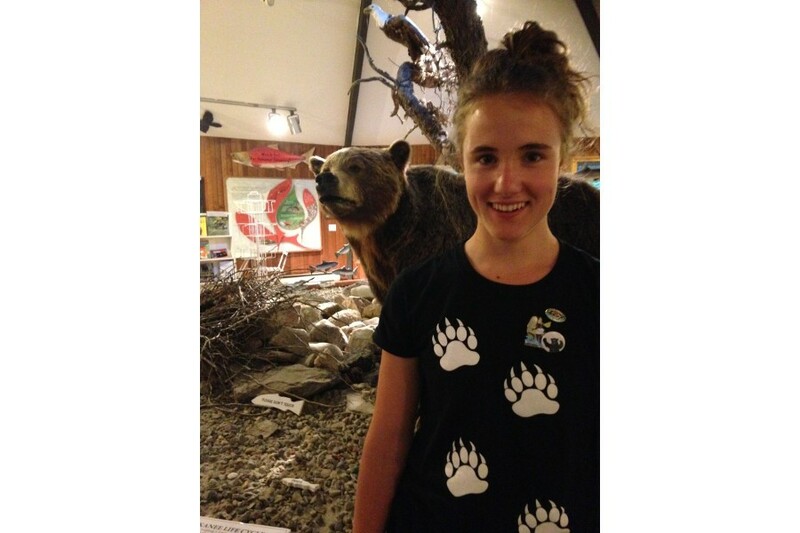 There is a lot to like about the Kokanee Creek Nature Centre. As the Junior Naturalist, I led many of the Jerry’s Rangers programs offered each week, and helped our Senior Naturalist, Joanne Siderius, with the Kokanee Nature Investigators program. In my first week, I spent an hour with a keen 10-yr old Nature Investigator named Janey, watching a family of young dippers fledge from their nest under the highway bridge. We cheered them on as they scuttled and flapped in and out of the nest, and then finally made it to the water, to be buffeted and baffled by the current. In mid-July, two eight-year-old girls came to our program for kids, Jerry’s Rangers, on a hot Sunday afternoon. As we explored the wild places of Kokanee Creek, I pointed out fireweed and foamflower and the girls noticed a garter snake camouflaged in the dappled sunlight. A cedar wax-wing paused on a willow branch, and we admired it’s yellow markings. We made a list of our observations so and posted them on iNaturalist.com. Next summer, come out to Kokanee Creek Park and experience it for yourself. Visit our Facebook page to see trail cams, or to share your own moment of inspiration.